adidas has unveiled a brand new limited edition Hunt Series, which includes the exclusive Predator Instinct Hunt, marking the final evolution of the Instinct range on the boot's 20th anniversary. The immersive green colours of The Hunt Series glow in the dark and will ensure players stand out across the globe as the nights get ever darker this winter. The technology and unique colourways will also feature on new versions of the f50, 11Pro and Nitrocharge, with the boots retaining the lethal zone, control pad and pass pad technology of the Predator Instinct, as well as the next-generation lightweight skin for the f50 boots. 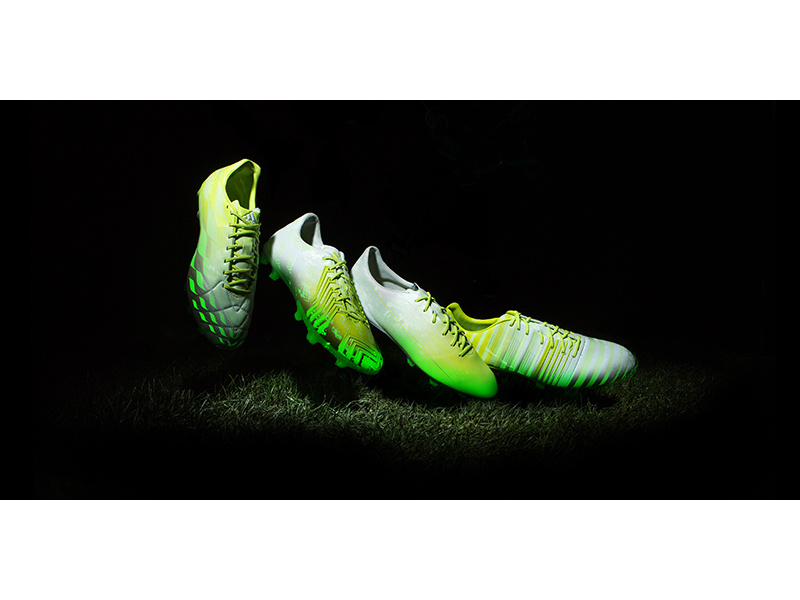 The Hunt Series also includes a Free Football range of four non-cleated glow in the dark shoe models, where the changing skin of the Predator allows players to "hunt in the dark" on street, on court, or in the cage. To commemorate the 20th anniversary of the Predator, The Hunt Series is the final edition of the 14 special Predator Instinct boots that have been launched during 2014. The latest collection follows the Predator Instinct Supernatural, the Crazylight Pack and the Revenge Pack, a heritage set of three Predators based on the original designs of the 1994 Predator, the 1998 Accelerator and the 2002 Mania. The Hunt Series is available to buy at www.adidas.com from today, Saturday 15th November.